Copyright: Christian Standard Bible ® Copyright © 2017 by Holman Bible Publishers. The text of the Christian Standard Bible may be quoted in any form (written, visual, electronic, or audio) up to and inclusive of one thousand (1,000) verses without the written permission of the publisher, provided that the verses quoted do not account for more than 50 percent of the work in which they are quoted, and provided that a complete book of the Bible is not quoted. Requests for permission are to be directed to and approved in writing by Holman Bible Publishers, One LifeWay Plaza, Nashville, Tennessee 37234. When the Christian Standard Bible is quoted, one of the following credit lines must appear on the copyright page or title page of the work: Scripture quotations marked CSB have been taken from the Christian Standard Bible®, Copyright © 2017 by Holman Bible Publishers. Used by permission. Christian Standard Bible® and CSB® are federally registered trademarks of Holman Bible Publishers. Unless otherwise noted, all Scripture quotations are taken from the Christian Standard Bible®, Copyright © 2017 by Holman Bible Publishers. Used by permission. 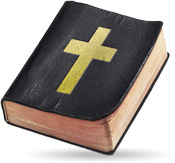 Christian Standard Bible® and CSB® are federally registered trademarks of Holman Bible Publishers.